There are about 25 privately-owned aircraft at Snitterfield, most of them syndicated between three or four pilots. They range from new modern aircraft such as LS8s, to vintage aircraft such as a Dart 17, Ka6s and a T21. 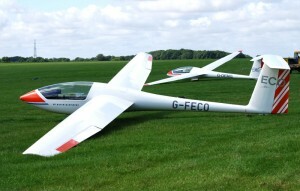 Several of our members are also members of the Vintage Glider Club. There are some pictures of some of these in our Photo Gallery.